Want to make $5,000 a week online? Insiders Cash Club program claims that their automated system can help newbies achieve this financial goal. Buyer beware! Online businesses need a website to make money, but do you need AscendPages tool? Ascend Pages claims to help users create professional web pages with ease. However, there is a big problem with every Do-It-For-You system that you need to know. 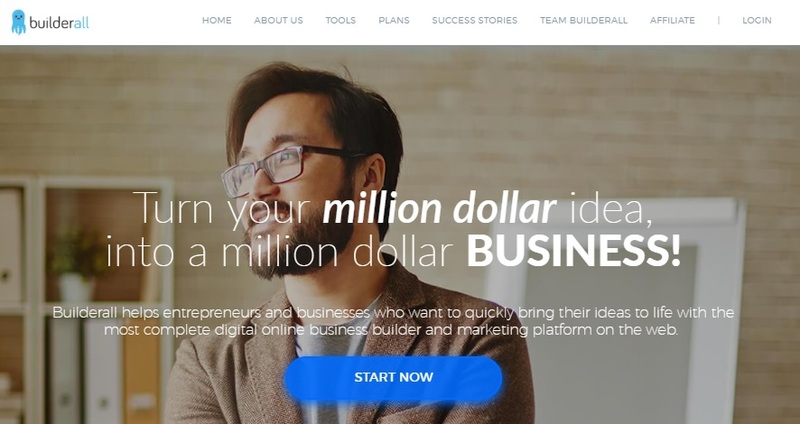 BuilderAll is a digital marketing platform that offers business all the online tools to operate their business. This is Mathew Neer newest automated affiliate program allowing you regardless of experience to make money with Viral Video from a $70 Billion resources. Easy Insta Profits is an app that allows you to generate thousands of dollars through Instagram. The truth is Mike Richard doesn’t exist, and the Easy Insta Profits looks a lot like a scam. The Wealthy Affiliate University is specializing in teaching the process of making money online. The University offers training lesson, tools, resources and support for online entrepreneurs seeking to enter the affiliate marketing business. Wealthy Affiliate is a platform teaching affiliate marketing. Many online entrepreneurs have used this training program to build a successful online business. The Wealthy Affiliate offers different level of memberships, training, and digital marketing tool for you to build a successful online business.